The western corn rootworm (Diabrotica virgifera virgifera LeConte, WCR) is the most economically important U.S. corn pest (Gray et al., 2009). Together with the northern corn rootworm (Diabrotica barberi Smith and Lawrence, NCR), these pests cost producers an estimated $1 billion annually in yield losses and control costs (Metcalf, 1986). This cost is thought to be much greater today (Dun et al., 2010; Tinsley et al., 2013). The WCR is a pest whose life cycle is closely tied to that of corn. WCR larvae feed on corn roots and are responsible for most yield losses and costs associated with this species, while the adults feed on corn foliage, tassels, silks, and kernels (Branson and Krysan, 1981; Moser and Vidal, 2005). Their strong egg-laying fidelity to cornfields and the larval dependence on corn led to the use of annual crop rotation with a non-host crop, such as soybean, as a rootworm management tactic (Forbes, 1883; Gillette, 1912). 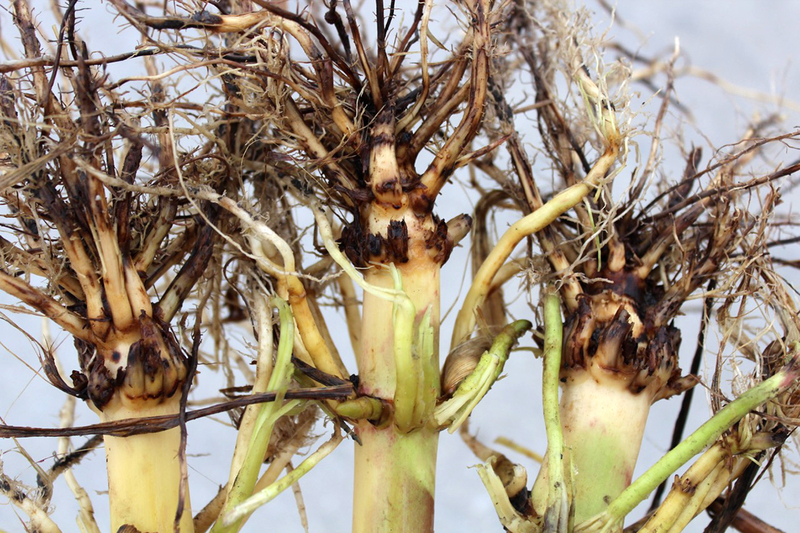 Crop rotation remains one of the primary methods used to control rootworms in the Corn Belt and elsewhere. A long history of resistance evolution is a key reason why rootworms are such a threatening pest. Where crop rotation could not be practiced, growers relied on soil-applied and broadcast insecticides to control the root-feeding larvae and egg-laying adults beginning in the late 1940s. From the late 1950s to the present, rootworms have evolved resistance to multiple classes of insecticides. In the mid-1980s, the great efficacy of crop rotation was its undoing. By 1995, the corn and soybean rotation had selected for females with reduced egg-laying fidelity to cornfields. The result was a pest that laid eggs everywhere, including the soybean fields where corn would grow the following year. Some Illinois and Indiana growers experienced 50% yield loss in corn after soybeans in 1995 (Levine et al., 2002). The evolution of behavioral resistance to crop rotation resulted in the new use of soil-applied insecticide on millions of rotated corn acres. (Levine et al., 2002). 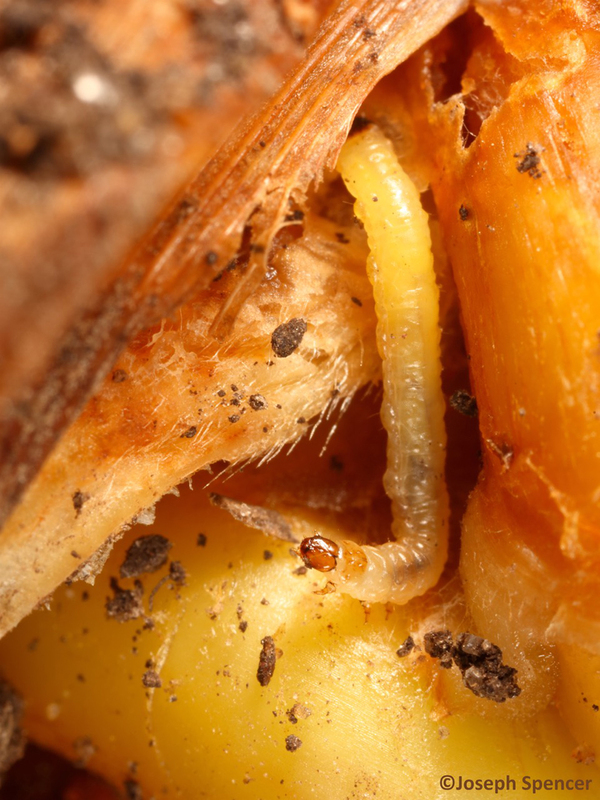 The alarming escalation of soil-applied insecticide use was one of the motivating factors driving interest in rootworm management alternatives such as Bt corn. Commercial sales of Bt corn hybrids protected from corn rootworm larval injury were first approved by the U.S. EPA in 2003. 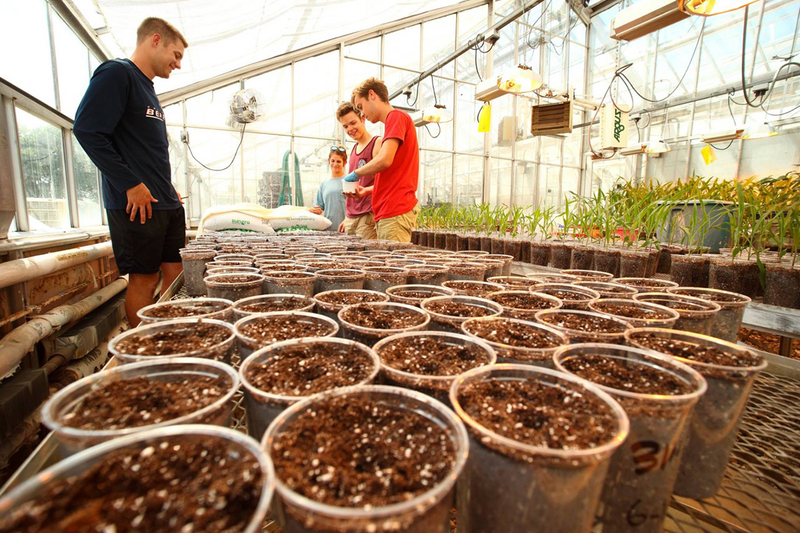 In-plant expression of toxic proteins from the soil microbe Bacillus thuringiensis (Bt) provided targeted control of corn rootworm larvae with an efficacy equivalent to that of soil insecticides, but with none of the human health risks and environmental concerns associated with broad-spectrum insecticides. The threat of rootworm resistance to Bt technology featured prominently in discussions of how best to deploy Bt corn to delay the inevitable evolution of resistance. Current data on WCR biology and behavior were used in computer models to evaluate the durability of Bt corn under a variety of deployment scenarios. Rapid evolution of insect resistance to Bt toxin(s) would be mitigated by requiring that a contiguous block or broad strips of each Bt cornfield were planted with a “refuge” of non-Bt corn (initially 20% of total field area). Refuges provide a place where rootworms with susceptibility to Bt toxins could develop without toxin exposure. 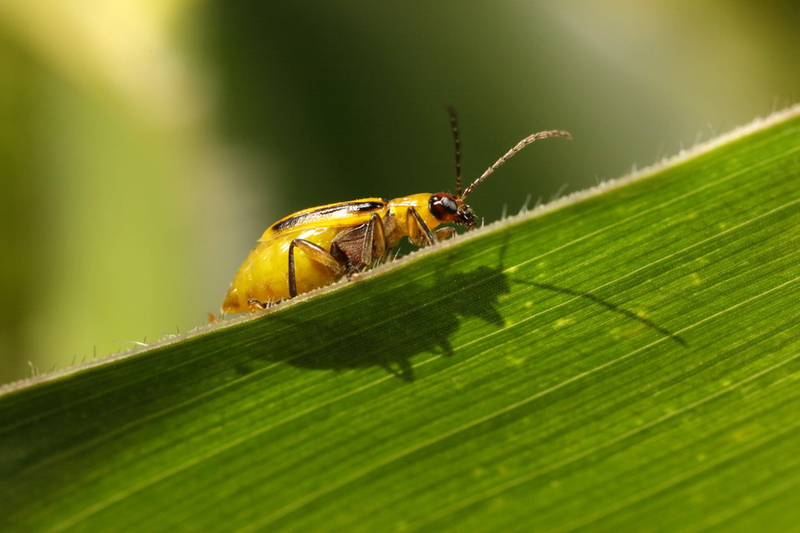 The Bt-susceptible rootworm beetles produced in the refuge were expected to disperse into the Bt corn where they would mate with any rare, potentially resistant beetles that survived on Bt plants. Because Bt-susceptible refuge beetles would vastly outnumber any Bt survivors, it would be highly unlikely that pairs of Bt-resistant beetles would ever mate, and thus few resistant offspring would be produced. 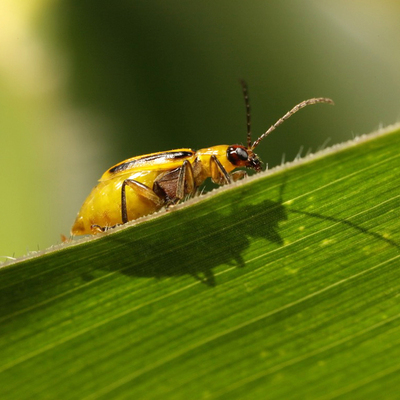 Planting refuges was a key element of the Insect Resistance Management (IRM) plan designed to delay the evolution of rootworm resistance to Bt corn. Other expectations about rootworm biology/behavior in Bt cornfields (e.g., resistance alleles were initially rare in rootworm populations) and characteristics of the Bt plants (e.g., Bt toxin levels in plant roots would kill a very high proportion of larvae) were also integral to the plan’s success. In addition, growers were expected to adhere to refuge requirements and plant sufficient percentages of refuge acres. In 2010, we began a three-year study to document the abundance, behavior, and biology of WCR adults in large field plots of refuge and Bt corn (Hughson, 2017; Hughson and Spencer, 2015). We wished to know if WCR beetles from refuges really would emerge and move into Bt corn and mate, as expected. We used four configurations of refuge and Bt corn to study the impact of different refuge designs on WCR biology and behavior. We deployed refuge in contiguous blocks (i.e., 20% and 5% structured refuges), as a seed blend where 5% of refuge seeds were mixed into bags of Bt seed (i.e., 5% seed blend refuge) and as a no-refuge control (i.e., 0% refuge). We collected ca. 35,000 individual beetles and almost 900 pairs of mating beetles over three years. Our dissection and analysis of over 10,000 beetles revealed unexpected details of WCR movement patterns and reproductive biology. 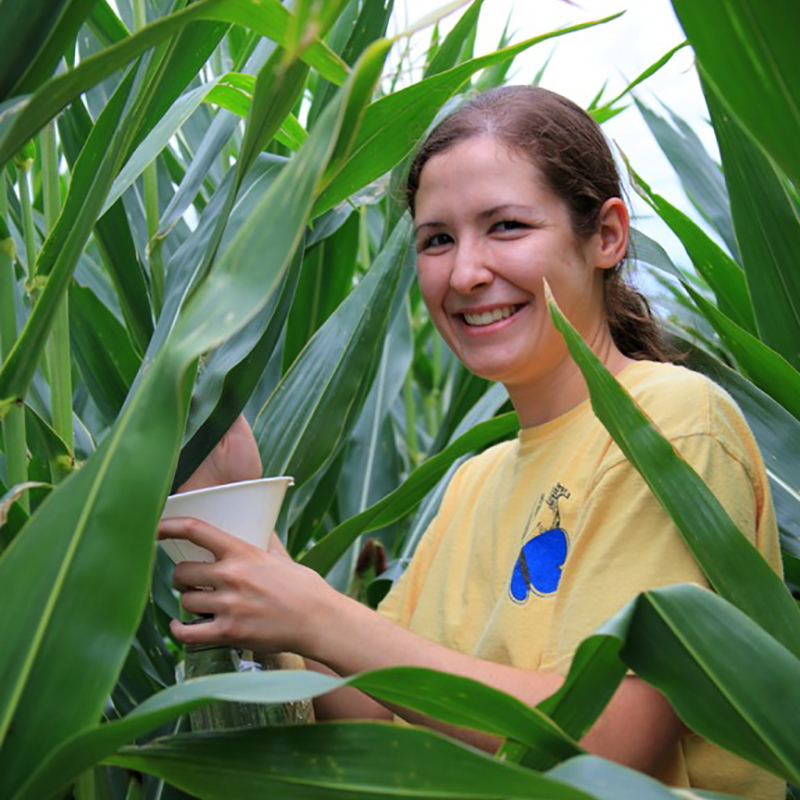 Sarah Hughson, a University of Illinois Department of Entomology Ph.D. Graduate, collecting western corn rootworm adults from a refuge treatment plot in 2012. We soon realized that WCR biology and behavior belied the optimistic expectations of the rootworm IRM plan, especially regarding beetle movement. From 17 to 25% of adults left refuges for Bt corn daily during the period before corn pollination. However, once corn began pollinating and female emergence peaked in the refuges, movement of WCR of both sexes nearly stopped. Though moving beetles traveled at substantial rates (up to 31 m/day), they represented just 3 to 10% of the population during and after pollination. It also became evident that mate-seeking refuge males did not rapidly disperse into Bt corn. Instead, they stayed in refuge blocks where newly emerged, unmated females were already nearby and abundant. The normally delayed emergence of females versus males (called protandry) was further delayed for beetles that developed on Bt plants, which meant that many refuge males emerged weeks before the females in Bt corn. If refuge males had moved into Bt corn, many would have been too old to mate by the time females emerged from Bt corn. This made mating between potentially resistant males and females from Bt corn much more likely than expected. The distribution of mating activity mirrored overall beetle abundance; both were concentrated in blocks of refuge corn. In fields with separate contiguous blocks of refuge and Bt corn, there were few “mixed matings” (ca. 9%) between partners from both sides of the fields. When they occurred, they were found within a few rows of the interface between refuge and Bt corn areas. Where refuge plants were growing among Bt plants (i.e., seed blends) there was a uniform distribution of mating pairs across fields. If poor dispersal of mate-seeking beetles into Bt corn was the problem, integrating refuge plants into Bt corn should improve population mixing. However, analyses of beetles from those mating pairs revealed that regardless of whether the 5% of refuge plants were randomly scattered among Bt corn plants or deployed as a single block of refuge, the percentage of mixed-matings between refuge and Bt beetles did not differ. Use of a seed blend to decrease the average distance between refuge and Bt corn plants did not promote mixed-matings as anticipated. Movement and feeding data suggest that concentrations of beetles may persist in the near vicinity of isolated refuge plants in seed blends. Increasing the percentage of refuge plants in seed blends may be needed to put more refuge beetles much closer to Bt plants. Our analyses indicate that the expectations for rootworm behavior in Bt cornfields were wrong at nearly every turn. Unfulfilled assumptions about WCR mobility were compounded by other failings. Critically, Bt plants did not express toxins at high enough doses to kill the expected proportion of WCR larvae. Another critical problem was poor compliance with refuge planting. Only 75 to 80% of growers complied with refuge requirements (Gray, 2011). As a result, even before the susceptible beetles had a chance to “do their part” to ensure well-mixed populations of “mixed-mated” beetles, a myriad of problems with the plan had already compromised chances of its success. Field-evolved WCR resistance to Bt corn was first documented in Iowa during 2009, just six years after rootworm Bt corn was commercialized (Gassmann et al., 2011). Since then, rootworm resistance to multiple Bt toxins has been found across the U.S. Corn Belt. Beginning in 2012, we documented Illinois WCR populations with resistance or significantly reduced susceptibility to multiple Bt toxins from counties across the state. During 2013, broad areas in Livingston, Kankakee, and Ford counties experienced severe injury in rotated Bt corn due to Bt-resistance in rotation-resistant WCR populations. 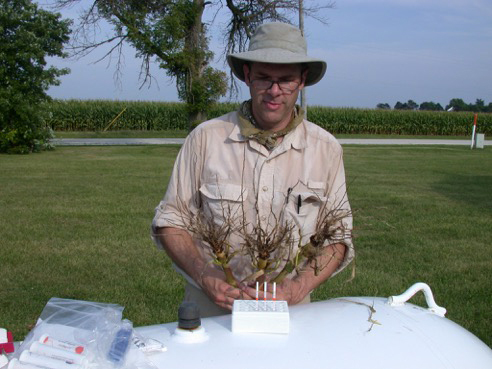 Heightened awareness of Illinois Bt resistance, combined with a shift to Bt corn hybrids expressing multiple different types of Bt toxins, have helped prevent subsequent “surprises.” The role of extremely wet conditions during 2015 was also important; rootworm populations were reduced to historically low levels. WCR populations continue to slowly rebuild; however, abundance is still below levels likely to inflict economic injury in most areas. In spite of low population years, bioassays show that Illinois’ WCR beetles retain high levels of resistance to most Bt toxins. In the coming year, a completely new mode of action (MOA) for rootworm management will be commercialized. Based on RNA interference, the new MOA will kill larvae by interfering with the expression of critical rootworm-specific genes. 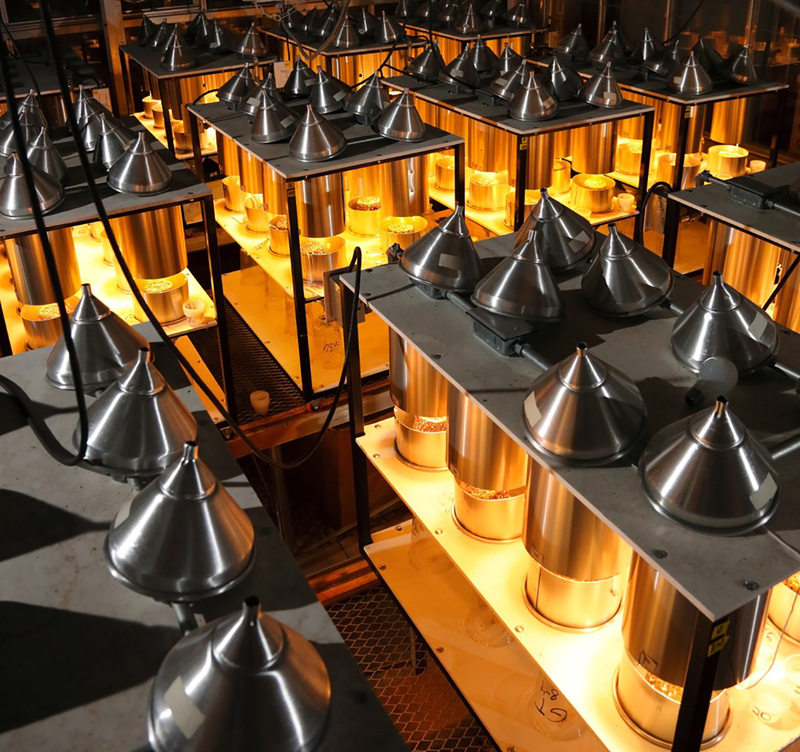 An IRM plan that includes seed-blend refuges, multiple MOAs, and an understanding of rootworm biology/behavior is expected to ensure the long-term durability of this new technology—at least that’s the plan. Branson, T.F., and J.L. Krysan. 1981. Feeding and oviposition behavior and life cycle strategies of Diabrotica: An evolutionary view with implications for pest management. Forum: Environ. Entomol. 10: 826-831. Dun, Z., P.D. Mitchell, and M. Agosti. 2010. Estimating Diabrotica virgifera virgifera damage functions with field trial data: Applying an unbalanced nested error component model. J. Appl. Entomol. 134: 409-419. Forbes, S.A. 1883. The corn root-worm. (Diabrotica longicornis, Say) Order Coleoptera. Family Chrysomelidae. Ill. State Entomol. Annu. Rep. 12: 10-31. Gassmann, A.J., J.L. Petzold-Maxwell, R.S. Keweshan, and M.W. Dunbar. 2011. Field-evolved resistance to Bt maize by western corn rootworm. PLoS ONE 6: e22629. DOI: 10.1371/journal.pone.0022629. Gillette, C.P. 1912. Diabrotica virgifera Lec. as a corn root-worm. J. Econ. Entomol. 5: 364-366. Gray M.E. 2011. Relevance of traditional Integrated Pest Management (IPM) strategies for commercial corn producers in a transgenic agroecosystem: A bygone era? J. of Agricultural and Food Chemistry 59: 5852-558. DOI:10.1021/jf102673s. Gray, M.E., T.W. Sappington, N.J. Miller, J. Moeser, and M.O. Bohn. 2009. Adaptation and invasiveness of western corn rootworm: Intensifying research on a worsening pest. Annu. Rev. Entomol. 54: 303-321. Hughson, S.A. 2017. The movement behavior and reproductive ecology of western corn rootworm beetles (Coleoptera: Chrysomeliae) in Bt cornfields with structured and seed blend refuges. Ph.D. Dissertation. University of Illinois at Urbana-Champaign. 170 pp. Hughson, S.A., and J.L. Spencer. 2015. Emergence and abundance of western corn rootworm (Coleoptera: Chrysomelidae) in Bt cornfields with structured and seed blend refuges. J. Econ. Entomol. 108: 114-125. DOI: 10.1093/jee/tou029. Levine, E., J.L. Spencer, S.A. Isard, D.W. Onstad, and M.E. Gray. 2002. Adaptation of the western corn rootworm, Diabrotica virgifera virgifera LeConte (Coleoptera: Chrysomelidae) to crop rotation: Evolution of a new strain in response to a cultural management practice. Am. Entomol. 48: 94-107. Metcalf, R.L. 1986. Foreword. In J. L. Krysan, and T. A. Miller (eds. ), Methods for the study of pest Diabrotica, pg. vii - xv. Springer, New York, NY. Moeser, J., and S. Vidal. 2005. Nutritional resources used by the invasive maize pest Diabrotica virgifera virgifera in its new South-east-European distribution range. Entomol. Exp. Appl. 144: 55-63. Tinsley, N.A., R.E. Estes, and M.E. Gray. 2013. Validation of a nested error component model to estimate damage caused by corn rootworm larvae. J. Appl. Entomol. 137: 161-169.